It had been a while since I submitted anything to The Blue Mountain Review, and when editor Clifford Brooks asked if I had anything up my sleeve that he could include, I was going through the process of prepping my handful of novels for the arduous lit agent submission process, which involves not just researching literary agencies but also competitive titles already on the market. I decided to write about that in my latest column over at BMR (on page 102). Not so much how researching other titles at Barnes & Noble can help you decide what to write, but how it might help you decide how to go about writing the story you want to write, how you can position it, and hopefully, fingers crossed, sell it. Now I’m no pro at the latter, since I’m still trying to hook an agent myself, but you never know what little hint we might pick up from one another that might get us closer to our goal, right? Anyway, I hope you enjoy the piece, and there are plenty of other excellent essays, stories, poetry, and more in the new issue to keep you otherwise occupied. Thanks to Cliff and the editors for creating another spiffy issue! The new issue of The Blue Mountain Review is now up, and it includes an essay of mine titled “Stepping Back / Stepping Forward” (on page 26) which discusses my month-long experience of stepping away from social media this summer to focus on writing. The break was a great way to re-focus, but I also found that stepping away from a few other things like Netflix, poetry readings, and even magazine submissions (yes, you read that right) also helped be move forward with the writing goals I set out for myself this year. 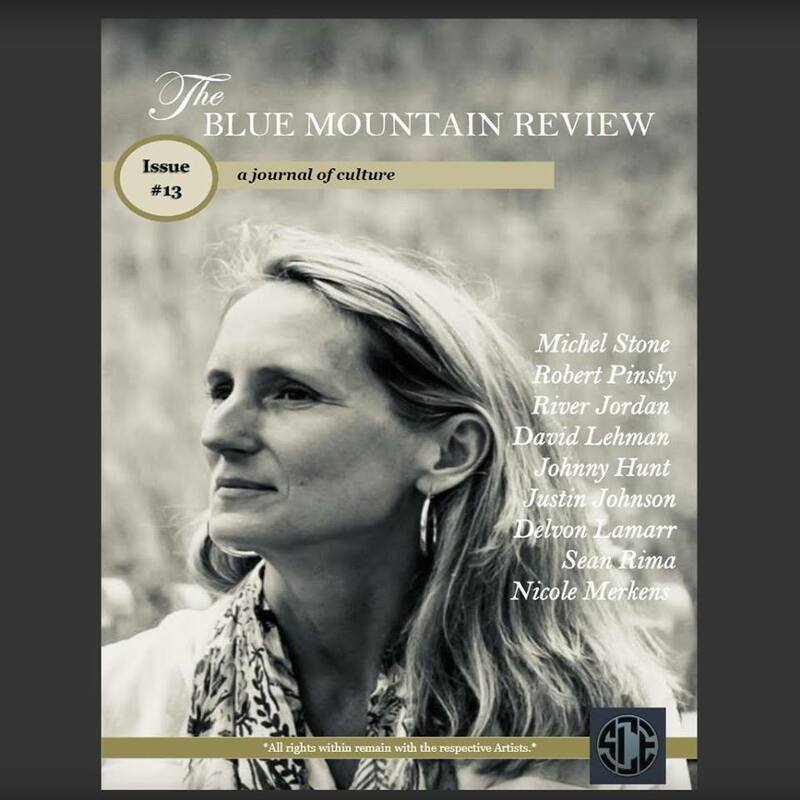 You can read the essay, along with a ton of great poems, columns, and interviews, inside the new issue of The Blue Mountain Review, created by the folks over at the Southern Collective Experience. Thanks! During many of the most recent political shifts toward conservative nationalism, be it in Europe or in America, I have heard the call that artists must take up the mantle and create, that this must become a period of renewed drive, and that poetry, among the many arts we need now more than ever, will lead the way back to brighter times. I have my doubts. Certainly not about the power of poetry to provide solace in trying times or to lift the veil on hypocrites and racists. Instead I worry about poetry’s ability to do so in an effective manner. I should add that my doubts do not stand in defiance of trying, but if we’re going to turn our art into tools of comfort for allies and into useful weapons against oppressors, we’d better make damn sure we’re not working inside an echo chamber. It happens to all of us at different points in our writing lives: we hit a stretch where we can’t seem to finish anything, or the ideas have dried up faster than morning rain on an Arizona highway. It happened to me this last year when I finished one novel and was excited to start a fresh project, except each novel idea I started fizzled out. They weren’t right. Same went for a few short stories I had rattling around in my head. I’d make it halfway through before casting each aside. Even poems felt forced. I felt stuck. I WAS stuck. And I was breaking Neil Gaiman’s wise and important rule: “Whatever it takes to finish things, finish.” It was a hollow, scary feeling. But instead of sitting back and waiting for inspiration to strike, I tried a few of the methods below to jumpstart that old excited feeling, to help me start something I could finish. I picked these up from other writers, so it's not like these are fresh, original ideas, but they helped me out, bit by bit. I’m hoping that if they worked for me, they’ll work for you. Watching a twelve-year-old child working a typewriter is a special kind of magic in our modern era, magic enough all on its own, but when he finishes and says he wrote about his feelings on police brutality and runs off to give it to a friend, that’s not magic, that a game changer. About twelve years ago I received a poetry rejection from a magazine editor who shall remain nameless (because I can’t remember who it was for the life of me). This editor told me he rejected my work because the poems were all about myself, the poet, writing poetry, and nobody cares about “I” poems anymore. While this was (and remains) untrue in the wider sense, it took me years to understand what this editor meant by his rejection. No writer is done learning, and some methods and "tips" we learn evolve over time and take on new dimensions. I did a lot of writing in 2017, not all of it as successfully as I wanted, but throughout the ups and downs I learned a few things (and re-learned even more) that might also help you too. Good luck in 2018! Every writer has been there. Whether it's burnout or writer's block, we all hit that wall where nothing seems to work, we can't finish anything, and great ideas die on the vine before they're ripe. I hit this wall a few times each year, but I've found little ways to work around (or through) that usually do the trick and get me back on track. I shared a few of these tips in my latest column, titled "Piece By Piece," for The Blue Mountain Review, Issue 8. Check out page 50 for my quarterly column. The issue is full of excellent poetry, prose, art, interviews, and a lot more, so it's definitely worth your time. 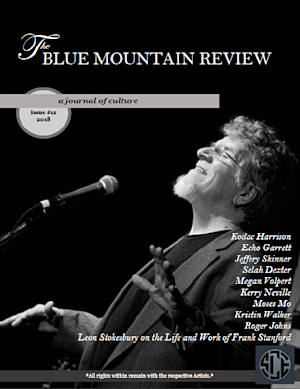 My deepest thanks to Clifford Brooks and the staff at The Blue Mountain Review for including me yet again. Shanti Weiland graciously reached out to me to ask that I contribute to her blog series The Poets That You Meet, where poets talk about the inspiration and writing process behind one of their poems. 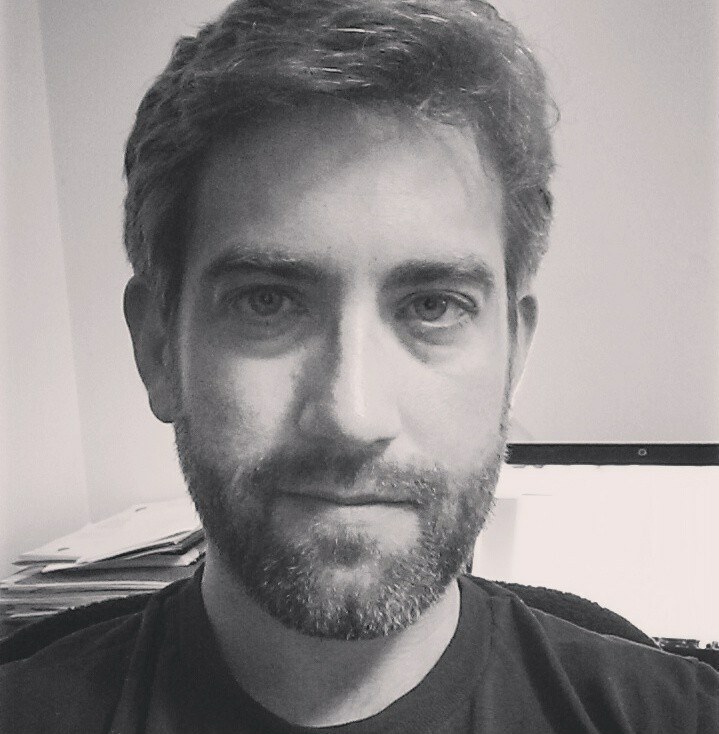 My post is titled "Wading Into the Sea Change", in which I discuss my poem "The Last Appointment of the Day" and how sitting in an endless series of medical waiting rooms over the last few years made me start to take a closer look about what made those rooms so unsettling, so static, so haunting, so sad, and even at times so comforting. I also recorded an audio version of the poem (pardon my voice) which you can find in the post. I hope it's an interesting and maybe even enlightening post. Thanks for reading. Every other year or so I sit down and re-watch the bizarre television phenomena that was Twin Peaks, and it always revives my appreciation for David Lynch’s strange genius. It was as eerie and captivating as The X-Files and True Detective (eh, season one maybe) and for a season or so it had the intense following of Game of Thrones or Breaking Bad, and despite some amusing 80s-styled haircuts and clothing, the show holds up. Created by David Lynch and Mark Frost, with a bevy of other writers to help—including Emmy nominee Harley Peyton, Saturn nominee Robert Engels, Barry Pullman, Tricia Brock, and others—the show became known for its blend of murder mystery tropes, soap opera camp, and spectacularly eerie dream sequences that included a dwarf talking backwards, flashing lights, a giant, white horses, and hip jazz numbers. Most of all, Twin Peaks was (and remains) a storytelling playland where writers can discover all manner of tips and tricks for their own use. Here are some things that I found helpful with my own writing, and maybe they’ll help you too. Yes, many of these pertain to mystery, crime, noir, and horror stories, but you never know when you might be able to add elements of those genres into your own stories. As I begin yet another revision for yet another novel, I’m reminded of a few revision and writing/outlining tips that have always helped me in the past, and that I plan to employ in full force again. Not that I’m some sort of bestselling author passing down the key to the city or anything, but you never know what tip will make that new draft feel like a breeze. I’ve mentioned some other tips before (HERE and HERE) but here are a few of my favorites that I’ve picked up along the way, and maybe one of these will help you too. This is something I’ve done off and on for years, but I have used this device much more often since hearing Gabriela Pereira, of DIYMFA.com, profess its benefits at a Writer’s Digest conference in 2014. Even if you had an outline before you began a first draft, and even if you feel you have a clear idea about what needs to change in draft #2 (or #14, or whatever), you'll absolutely strengthen your understanding of the current state of your book and reinforce your new ideas by writing a completely new outline before you begin the next draft. It may not have to be anything extensive, perhaps a page summarizing the major movements of your tale, but I find this step between your revision notes that you’ve jotted down and the actual book beautifully melds what you want to do with what you’ve done. And for those who like to work without outlines at all, I certainly understand your sense of adventure, and I’ve written that way in the past as well, but I find a few road signs along the way with enough leeway for exploration and surprises has been the most enjoyable sort of journey. January 04, 2015 in Writing Advice, Fun! Self-editing is one of the most widely discussed “craft” topics for writers and everyone has their own B.S. methods and tricks. Most of the tricks are just common sense, such as AVOID IT AT ALL COSTS, because you will never not ever catch all of your own typos, but you can try! (And you should try…nothing is worse than typos. Not taxes, not typhus, not anything.) Here are a few things I suggest. 1. Oh god, just hire someone else to do it. They’re probably better at it than you. No, not probably, they are. I just read six websites that all said something like “The author is the best person to edit their own work” and that’s such a load of garbage. You are certifiably the worst, because you know the material too well. Find someone who doesn’t know it at all. July 28, 2014 in Writing Advice, Fun! I write on trains. A lot. It's not always pretty (shabby interiors, crying kids, cell-phone talkers) but when you get a quiet car, a seat to yourself, and a gorgeous view, you can have a lot of fun. I discuss my tips for making the most of your railway adventures while still trying to work on that novel of yours over at the Writer's Digest website. Take a look, and good luck writing the next time you hop trains cross-country! Whether or not you outline your entire novel before you begin or leave plenty of room for surprises along the way, many writers will reach a point where they struggle with a story. Maybe you wrote yourself into a corner. Maybe you’re having trouble bridging main plot points with smaller scenes of character development. Maybe the characters feel flat. Maybe you want to add an unforeseen subplot but nothing fits just right. Whatever it may be, story speed-bumps are out there waiting for you, but I’ve found a little “game” I like to play that can help flesh out a story idea and possibly turn a handful of outlined scenes into an expansive epic full of action, drama, and tension. No matter what genre of fiction you write, be it horror, mystery, YA, erotica, or more literary fare, there’s one very basic thing all fiction writers have in common—we LOVE coming up with perfect place and character names. I know some writers who seem to pull names of people, towns, rivers, roads, and ranches out of thin air, as if these fictional locales have always existed in the recesses of their minds. I can’t always do that, and maybe you can’t either, so here are some ways I go about gathering names for the characters and places in my own books and stories. I enjoy re-reading Stephen King’s On Writing every few years. Not only is his personal, humorous, accessible prose in the book a pleasure to read, but as I grow older and more experienced in the writing world, I find so much of his advice to be spot on. But there’s one particular tip in his book that seems to have struck a chord in my writing life. In the long run, the piece of advice he offers is very true…but it took me a few drafts of one of my novels to see the light, and to develop my own equation for coming up with a book that, at least to me, is complete and satisfying. That piece of advice? Put on your mathematician's hat and get out your pencil, because this is one equation you’ll want to write down and remember, and then revise and make your own. My newest advice column at Writer's Digest's blog is now live. It examines the Who, What, When, Where, Why, and How of soliciting feedback for your novels, stories, poems, etc. 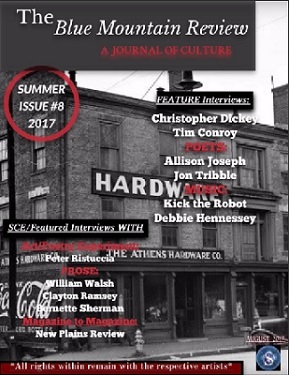 On a related note, I also recently wrote about how writers can become publishers by creating DIY literary anthologies in my interview with author/publisher Bud Smith. For all of my articles at the "There Are No Rules" blog, click HERE. Thanks!